This smoothie is a prefect morning pick me up with simple, fresh and beneficial ingredients, It will leave you energized and hydrated. With Summer just around the corner there’s nothing like a refreshing smoothie to start off your day or as an afternoon treat. Make this for the whole family to enjoy! TIP: no need to add ice when you got frozen fruit. Combine all ingredients into your blender and blend until smooth (hence the name smoothie). 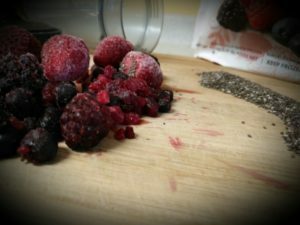 If you find after blending your smoothie is a bit thick, add more liquid to receive desired consistency. The addition of coconut water to your smoothie provides the natural electrolytes that are lost during workouts, so this a perfect and natural after workout refresher. 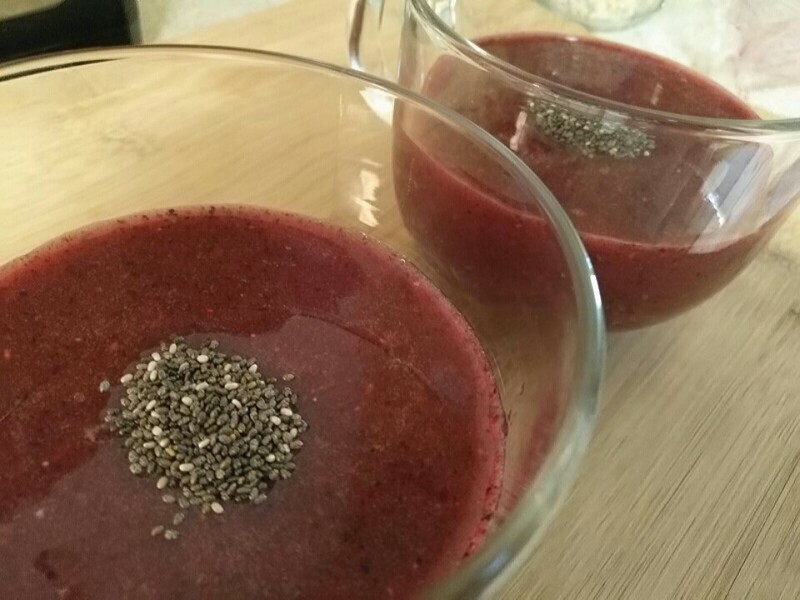 Why Chia seeds you may ask…..chia seeds are powerhouses in the Omega-3 fatty acid world, which helps in reducing inflammation in the body and gut. When compared by weight chia seeds contain more anti-inflammatory than salmon! When these little powerful seeds are contain with liquid they absorb almost nine times their own weight. They contain both soluble and insoluble fibre, which translates into feeling fuller longer, relieving constipation and helping to eliminate toxins in the intestinal tract. Please consult a physician before entering into an exercise or nutrition routine or program.